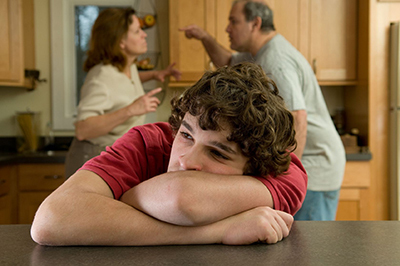 why you’re not the reason for your parents’ separation or divorce. My parents are splitting up. Why? There are many reasons why parents decide to split up. And with each couple, there might be one main reason, or a whole pile of reasons. Parents usually try very hard to solve their problems before they take action. If you're not sure what your parents' reasons are for splitting up, you can always ask. I'm feeling guilty. Was there something I did to cause it? You are not the reason for your parents splitting up. Parents split up because of problems in their relationship. Will I be able to spend time with both parents? In the vast majority of cases, children get to spend time with both parents. How much time you spend with each parent, and exactly how that will work, depends on your custody and access arrangements.